Hotel Veniz is a great option! Nestled in the heart of cool Baguio City right beside Burnham Lake, Hotel Veniz offers a relaxing atmosphere, fine dining and gracious service. You will notice that you’re so close to nature yet never far from the amenities of city life. 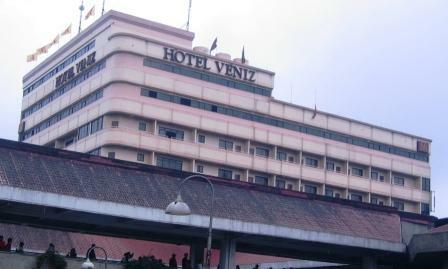 So whether it's business or pleasure that takes you to the summer capital of the Philippines, check out Hotel Veniz. 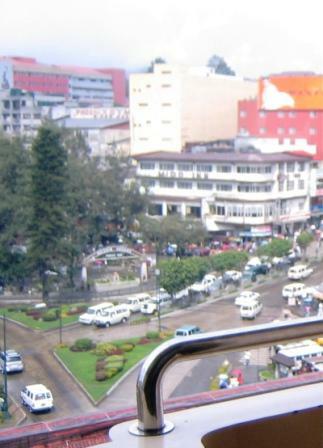 Hotel Veniz sits in the very heart of Baguio, along with famous parks, churches, gardens, shopping centers, landmarks and the ever popular Wagwagan shops for the bargain hunters. All of them are just a leisurely stroll away. Most of the roads leading to Baguio converge at Hotel Veniz. It's a great place to feel the heartbeat of the city. What are the rooms like at the Hotel Veniz? The hotel has over 100 air-conditioned rooms and suites for anyone who wants to be pampered, there are 16 room types to choose from. Rooms are spacious with hot and cold running water, luxurious bathrooms, phone and cable TV. Room types start with a Solo Standard room and keep getting better all the way to the Classic Family Plus. You can choose from a wide variety of rooms ranging from a basic room for one person to a Classic Family room for five. Some rooms have amenities including a veranda overlooking Burnham Lake. You get to see a view of the mountains and the city. However if you are in for a quiet, serene and calm vacation, this is not the hotel you would probably like to be in. As it is in the heart of the city, the hustle and bustle can't be avoided. You can hear the jeepneys and cars' engines roaring. If the trip you are planning is for business, Hotel Veniz would be perfect. If you brought your car, there is secure covered parking in the basement. It is safe and convenient with security guards posted everywhere. If you have a function to cater for, you may choose from a variety of eight function rooms, where you can host weddings, parties, banquets, conferences, conventions, reunions and other gatherings. The hotel’s function rooms comfortably accommodate 20-500 people. included in the function rooms, are state-of-the art LCD projectors, overhead projectors, projector screen and other equipment for multimedia presentations. There is an excellent piped-in sound system for even, crisp and clear audio. Hotel Veniz also has a money changer in the lobby. They can assist you in having your foreign currency converted to pesos. They can arrange convenient and secure transactions at the best possible exchange rates. Of course, whatever your laundry needs are, be it a business suit that needs to be dry cleaned and pressed or perhaps a favourite pair of blue jeans you want washed, the hotel’s laundry staff is ready to help you look your best. However, the hotel’s restaurant, Veniz Grill, does not serve food and beverages 24 hours a day, it closes around 10pm. Food is average, so if you and your companion decide to have a couple of beers after 10pm you will have to look elsewhere. Is the Hotel Veniz worth the money? 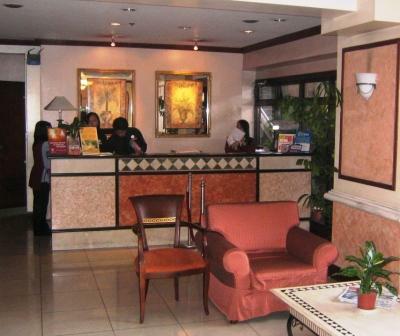 Hotel Veniz is centrally located in the heart of Baguio, it is close to everything, shops, parks and the markets. The one downside is that it can be a bit noisy, but if you need to be in the heart of Baguio then the Hotel Veniz is perfect.